Find out more about York Bowen in the Classic FM interviews linked on the articles page. Before the first world war York Bowen had a formidable reputation as a pianist and composer and was considered to be one of Britain's finest pianists. Saint Saens described him ".......as the most remarkable of the young British composers". Further, Sorabji considered Bowen wrote for the piano with "the mastery and resource" of Rachmaninov and Medtner and today many people refer to him as "The English Rachmaninov". Bowen performed his works with many famous musicians of the day, including Kreisler and Tertis and appeared as soloist in his own concertos under the batons of Henry Wood and Hans Richter. He was a prolific composer who included many instrumental duos, chamber music, piano music, four piano concertos, a viola concerto and four symphonies amongst his compositions. He was also a very fine organist, viola and horn player as well as being a highly respected professor of piano at the Royal Academy of Music, London. After the first world war his romantic style did not meet with the mood of the times and he gradually fell into decline, although he continued performing and composing, receiving good reviews, for the rest of his life. Little of his music is currently in print but there is a revival underway which will hopefully re–establish this scandalously neglected genius to where he rightly belongs – in the public eye with many more of his works in print. This web site will be continually updated. 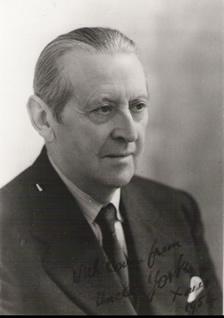 It aims to research and promote knowledge about York Bowen and his works. It will provide information about his life, works, recordings, links, events, articles & reviews and the soon to be newly formed York Bowen Society.